Forums › Orcon and iServe › Orcon+ Problems in Wellington? 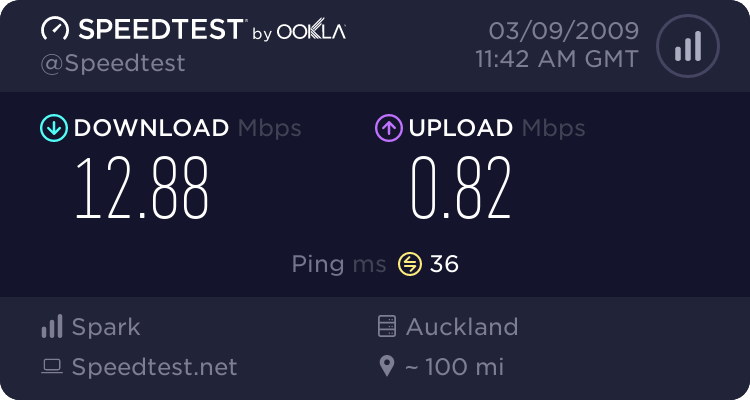 I've just been connected to the Orcon+ network in Wellington today and was wondering if there are any teething problems with the network or anything. It is mostly working great but every so often all internet traffic stops for about 30 seconds or so, and then continues. 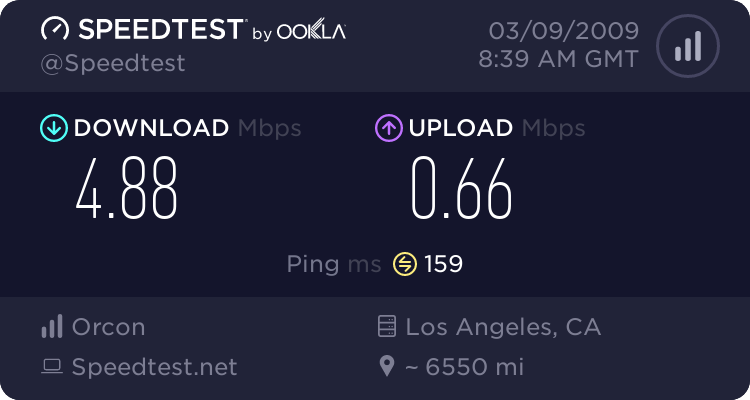 I've checked in my modem and the modem itself is not dropping connection so I guess it must be further down the network. Has anyone else experienced this? traceroutes would be good too. I will look into it once I get your info. Is this the courtenay place exchange? Here are mine, Different ISP, but possibly same exchange. 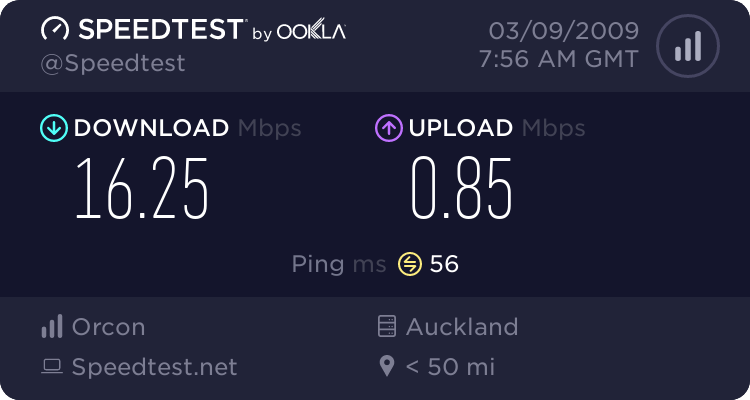 Revile: I've just been connected to the Orcon+ network in Wellington today and was wondering if there are any teething problems with the network or anything. I'm on the courtenay place exchange and yes I had something similar, but the culprit turned out to be my Linksys router. 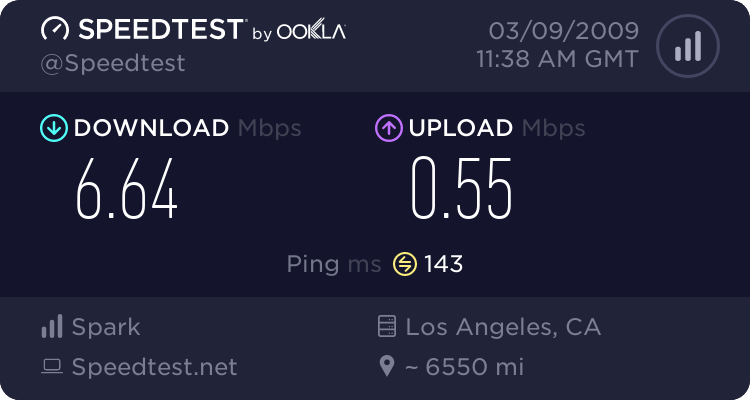 It couldnt deal with the 2+ speeds too well at all and would drop the connection for 30 seconds to a few minutes. I'm using the free rental Dynalink that Orcon provided and all is good, with a sync rate of 17000kbps. I'm waiting to get a Homehub. What is the modem/router you're using? Even these dynalinks seem to get very warm. I'm using a very old 3Com "officeconnect" it's the most stable router I have ever used and the WiFi works flawlessly with anything like N95 and eeePC and connections are rock solid, I have 3 employed in use and one has even been licked by lightning blowing the tracks clean off the board yet once they were replaced, it still works! It also does not even get slightly warn and if it did, the cooling has a rather cleverly designed large convection vent at the top. I had horrible problems with all Linksys routers with WiFi simply not working or being very unstable. D-Link.. hahahahahahaha, apart from the squealing switching mode power regulators insude, it was horrible in every other way, I hope to find the video of us running the thing over. paradoxsm: I'm using a very old 3Com "officeconnect" it's the most stable router I have ever used and the WiFi works flawlessly with anything like N95 and eeePC and connections are rock solid, I have 3 employed in use and one has even been licked by lightning blowing the tracks clean off the board yet once they were replaced, it still works! Makes me wonder why the manufacturers don't build a better cool system into most of their designs (ie Heat sinks), not just strategically placed holes. I've got a Dynalink RTA1025W, I've had it for a while now on ADSL2+ (have had 2+ for just over a year) and have never had this problem before. I saw the problem happen again this morning but I wasn't paying enough attention to get a traceroute going. Will try again this evening and hopefully get some data when everything cuts out. I haven't managed to get a tracert when this has been happening yet but its still happening for sure. My modem still seems to be holding connection through it but I'm open to the possibility it may be something to do with my modem. Looking at my line stats again, could this be happening because my Noise Margin is too low? The noise margin is low, but if that were the problem you would lose sync completely.